Hello friends and welcome to the 31st episode of our Homebrew Happy Hour podcast! Today’s show was a BLAST as Todd returned from the Craft Beer Conference. 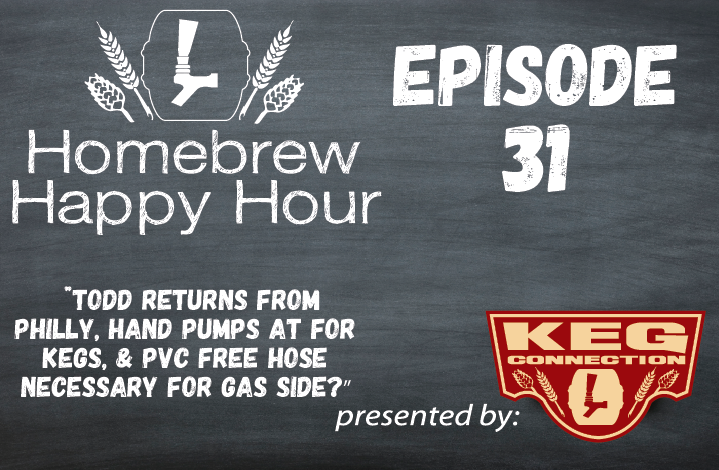 We answered your questions on using hand pumps on commercial kegs, and the importance of PVC free hose even on your gas lines! It’s a ton of fun taking your questions and if you have a question that you’d like us to discuss on a future episode, please click on the “Submit a Question” link at the top of the page!